Oak Meadow has offered innovative, creative, and independent learning materials for homeschooling families around the world for 35 years. Oak Meadow offers both a complete, creative, and well-rounded curriculum designed for homeschooling families and a distance learning school with teacher support and full academic credit. We’re mostly using Oak Meadow as a supplement, but it helps take DD’s thoughts further. Most curricula emphasise on the memorisation of this and that, but Oak Meadow encourages critical and creative thinking. I used Oak Meadow for three different sons over a decade and still refer to my Oak Meadow materials for ideas. I started with grades 3 & 5 when I first began homeschooling; then used 4 & 6 the next year. A few years later I used grades 1 & 2 for my youngest. (I actually also borrowed an older used version of kindergarten for preschool). It is a curriculum I cannot part with, even though I no longer have children the right ages for the grade levels I have! Oak Meadow was a great fit for our family. I never used the teacher support or enrolled the children — we just used the curriculum. As you will see as you read this review, I did modify the curriculum as we used it. The important thing to understand about Oak Meadow is that “fit” is very important. 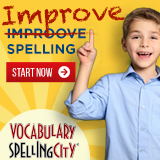 It won’t be right for parents who are looking for a script or an extremely detailed set of daily lesson plans. Oak Meadow met me in a perfect place — it set an agenda for weekly lessons (which I could cover at our own pace), provided the basic information I needed to do those lessons with my kids, anchored education in an effective approach, and gave a variety of projects we could choose from. Oak Meadow K-6 is Waldorf-inspired. I encourage anyone who is interested in this curriculum to research Waldorf education — but know that Waldorf purists don’t see Oak Meadow as completely Waldorfian, but several steps in that direction. The curriculum is designed to engage all the senses, to involve the heart and hands as well as the head, to inspire creativity, and to follow the unfolding development of the child. The folk tales and fairy tales used in the curriculum feature archetypical characters and situations. They are great stories in and of themselves, but they also provide cultural touchstones for kids. My boys truly loved how these stories did not shy away from the dark, and they loved the quirky language and sometimes abrupt turns. As they grew older and were no longer Oak Meadow users, they/we continued to find allusions to the characters and story lines in film, literature, and pop culture. I feel that Oak Meadow’s approach helped them build this ability to see and synthesize, helping them develop true critical thinking and the ability to make connections rather than memorizing something for a test. The first grade approach to learning letters through fairy tales was unique, effective, and engaging for my early years child. It really made a smooth transition from his preschool years of drawing to his school years of writing. I loved the creativity this approach engendered — helping a child see letters as inhabiting pictures in stories! I believe partly as a result of the OM approach, my son imbued his early handwriting efforts with personality and energy — he “saw” letters and words as having particular character and traits. I loved that his letters were sometimes “on fire,” sometimes “acting out” the word they depicted. Contrary to one reviewer seeing this OM as fitting kids with poor fine motor skills, I found that it was wonderful for meeting kids “where they are” in terms of motor skills — my son was probably fairly advanced in this area due to years of preschool drawing, intricate crafts and artwork, and pre-literacy activities — and you can imagine the fine motor skills he developed further by drawing letters that flamed and ate and fought. (It’s not that OM actually had lessons depicting letters that flamed, ate, or fought; it’s that the way the letter lessons were presented, it inspired him to continue thinking along those lines as he worked on his own). This first grade “letter learning” by the OM method is kind of an example, though, of where considering “fit” is essential. Some parents won’t find this charming — they’ll find it irritating. They want the letters to look like letters and for the kids to “get on with it.” For those parents, it is important for the work to look similar to the standard set by school right away. Some kids may not be inspired by it — they might be distracted by it. In our case, the fit was ideal — our son as a teen is a strong writer and creative and accomplished musician — as well as having good logic and critical thinking skills. I think about how encouraging him to see and write words and letters as powerful (“D” might be a door into a tree — and a whole new world!) gave him a leg up on expressiveness and imagination, and made learning the letters painless and for him, intuitive. A word here about grade levels. Yes, if your child is already reading and writing before first grade, a first grade curriculum that teaches letter formation through stories is not going to be engaging. Again — this was a fit for us. I intentionally did not push early reading — though our family was rich in pre-reading and a reading atmosphere during our children’s pre-school years. But I’m a bit of an advocate of the homeschooling approach of “better late than early,” having seen an awful lot of problems develop with resistance to academics during mid-elementary years when they are pushed early. So again, OM fit for us. I had a preference that my early years children play, create, draw, make, listen to stories, play word games, and enjoy a rich pre-literacy period of read alouds, rhymes, music, and games. If this is NOT you and you prefer early mastery of academic skills, then OM may not be for you, or you may need to adjust the grade level that you use. I’d encourage you to look at what each grade level teaches and perhaps consult with the OM staff to determine which grade level would work. As a side note, I want to point out that mastering writing letters in first grade and reading later than is currently expected by school standards has not been any kind of long- or even medium-term handicap for my sons. Kids using this approach, if they don’t have any special issues, can still soar ahead and easily be at or well above the school notion of “grade level” very soon, and without some of the pathologies that sometimes accompany a push for early reading, for example, in a child who is not ready. IMHO, schools aren’t actually following the best research about when to introduce specific academic skills, but they do it partly because the sliver of most vulnerable kids may need to make up for early years that lacked a positive pre-literacy atmosphere. It’s not necessarily needed or best for all kids, average kids, gifted kids etc. – though of course some kids are going to develop these skills early on their own — that’s ok too — but then if a parent is interested in OM, she’d be wise to pay a lot of attention to what is taught at each grade level and be aware that it intentionally is different from schools. I found this a GOOD thing, not a bad thing. Parents who prefer early acquisition of academic skills or see early acquisition of these skills as giftedness may not like the way the grade levels work with OM and may not be predisposed to seeing children’s development through the Waldorf-inspired lens of Oak Meadow. I recently wrote about another OM first grade project I did with my kids; reading about how we used this calendar project might give you the flavor of another first grade lesson that my kids loved, and the blog post will show you how I tweaked it a bit. My kids also responded well to lessons in the later years that had to do with drawing pictures from stories and writing a descriptive sentence about it — while I read the story aloud. Very effective way to encourage true reading comprehension, a skill that stuck with my kids straight to and through college. I note that the boys working with their mom to find OM’s recommended books and supplemental materials was also a wonderful pre-college experience. Some parents prefer a “complete” packaged curriculum. Oak Meadow does have what you need — for instance, you can order all the readers that go with, you can order craft kits, the science and history readings are self-contained etc. BUT, OM does sometimes refer to optional reading or other topics to explore etc. Again, I considered this a PLUS — it is great for kids to experience looking for resources at the library, bookstores, online, etc. to learn about something in more depth. They also loved all the projects. My kids were VERY active boys — including one who was off-the-chart active. To make the most of this, I chose the Oak Meadow activities that were hands-on and active. When we studied Columbus, we made the boats using the hand powered drill (what could be better than this for young boys!? And then that drill – bought at a local hardware store – was used in a million other projects! ), made and decorated sails for the boars, took them to a nearby stream to sail. Again, some parents don’t find the educational connection in this — but for my kids, as their boats whirled around, got stuck in the doldrums, etc, it made the challenges of European explorers come alive, and we talked about what we’d been reading as we watched their handmade ships. When we baked and made hard tack, one of my envious neighbors even adopted the project to do as a volunteer with her son’s school class, so the kids could experience the taste of a hard tack diet! As for the handcrafts parts of the curriculum, my active sons enjoyed these as well. One of them got so stuck on weaving with a home made cardboard loom that we ended up taking a whole side study on weaving, a kind of self-developed unit study. Additionally, he wove a lot during read alouds, which really helped his fidgets and his ability to concentrate on comprehension — and it’s no surprise that as an adult, this once active little boy loves to work with his hands! I believe we can quickly stereotype these activities as “not for boys,” missing a real opportunity for our sons’ development. This kind of handwork is a real connection to tool making and tool using — something that turns on the brain, including for intellectual pursuits. These are among the strengths of OM — there are so many options offered that there is a learning experience sure to accommodate your type of learner. My children loved the gnome stories for math, and they worked beautifully. I even developed similar stories in later years when OM no longer emphasized them, like when kids were learning long division, to help them remember the steps. So one thing I hope you can hear in my review is that I am quite comfortable picking which things to emphasize, I am comfortable doing things in a creative, non-standard way, and I am comfortable extrapolating from the curriculum — at our house we call it “rabbit trailing.” OM is fabulous for revealing rabbit trails we should go down, and I can’t tell you the number of times that the curriculum started us on a topic that ended up becoming a unit study of its own. We got stuck on studying Egypt during the ancient civilizations history (grade 6 I think) and spent most of a year on it. I just didn’t worry about not keeping up with other lessons — the kids were learning in deep meaningful ways, satisfying their busy hands-on-ness, getting to be creative, and studying things from multiple angles, which turned out to be quite a great background for learning during the high school and college years. However, I know from many years of homeschooling that not all parents want to be this engaged in the material THEMSELVES — they are looking for something different from a curriculum — so again, this is about FIT. Also, I should say — and you can probably tell — that I became pretty comfortable with identification as a relaxed homeschooler or unschooler, so that is probably one ingredient in my comfort level with adjusting OM all around and going where my kids’ interests and natural inclinations led them. I don’t think you need to be an unschooler at all for this to work — and I’d say this unschooling tendency would not be OM’s philosophy, but I say it in case it gives you an indication about “fit,” that I’m not, hmmm, a very dogmatic person when it comes to following every detail of a curriculum. One suggestion I have — if you have multiple children close in age in grades 3, 4, 5 or 6, you might want to use one grade level of OM curriculum and gear it up or down a bit so you are covering the same content with both kids. This is less true of grade 3, but I did find that, for instance, doing the history and science for grades 4 and 6 at the same time was not as useful as, say, doing grade 6 with two sons and just letting them learn it at their own level, or covering something from grade 4 with both kids and then something from grade 6 with both kids. I kind of worked into that. I actually liked HAVING the appropriate grade level on hand, because I could alternate which I used, and I could understand developmentally how OM was presenting things for each grade, and it helped me make adjustments, even if I ended up mostly using one of the grade levels for a year and kind of shooting down the middle. Oak Meadow was a great resource for us. I started out using it as a curriculum and then shifted to using it more as a resource, but it was so valuable even in that way that I continued to purchase and use it as we moved more and more toward unit studies, eclectic homeschooling, and then unschooling. The Waldorf influence made an impact in my homeschooling, and it inspired me to think and learn more about educational approaches and philosophy. When I had a much younger child, I had been so well-satisfied with OM’s help to our family, that I re-visited it and purchased and used the first and second grade curricula for him. My children loved and benefited from the learning that came as a result of Oak Meadow. I also have many friends who continue to use OM in the more lesson-by-lesson manner and have done so with satisfaction for years. Yes, we sometimes supplemented; frankly I don’t know how NOT to do that! But I also think that the times when we did, say, science explorations to their fullest, they were very effective on their own. I want to say — I did order the grade 7 curriculum, but I sent it back for a full refund. By then, we were well on our way to interest-led learning, and I found that much of the charm and uniqueness of the early years curriculum was just not there – it was less Waldorfian and more standards-based, which I do understand many would feel more comfortable with for the middle school years. It was just a bit too…typical…for the particular child who would have been the 7th grader. That said, I remember thinking that it was still much more multi-sensory and creative in its approach than most other curricula I’d looked at, and that as a kid *I* would have loved it, haha. I think it would have also been a fit for my other two kids. I have had friends and acquaintances use grades 7 and up with great satisfaction. (and I note — it was AFTER returning grade 7 that I went back and ordered the earliest years of OM curriculum for the younger child). I do not have personal experience with how the high school years curriculum works. To determine fit, I encourage you to review and USE the sample lessons provided on the OM website. Also, you may want to read Oak Meadow’s books The Heart of Learning and Home Teacher’s Process Manual (especially if you have a K, 1, 2, or 3 child) available at their bookstore and also sometimes available used on homeschool lists. If you can borrow first, then buy, that would also be helpful in determining fit. It really is a different approach, but one that was terrific for all the boys in our family — two of whom have graduated from homeschooling — one who is in university with a STEM major, doing extremely well academically, and one who has graduated from college in the humanities, with a gift for making connections and following his own rabbit trails in continuing learning as a young adult. A final note — I have always felt I got great customer service from Oak Meadow. Some of the supplies may seem expensive — but we used the same set of block beeswax crayons for years and years, which is more than can be said for the boxes and boxes of traditional crayons that entered our house and broke and rolled out of our lives. Our main lesson books are an amazing part of our homeschooling archives. My Heart of Learning book has been loaned to dear friends over and over, as we have sought to enrich our lives with discussions about warm, creative, literary, thoughtful, developmentally appropriate approaches to learning at home. Oak Meadow may not be for everyone, but if it is right for you and your kids, you will not only be amazed at what your children learn, you will also feel affirmed in your decision to take the road less traveled. References to Indian Legends are actually included in the 4th grade syllabus (pg.74, 81, 89) and while the math book for this year is indeed a separate book, it is referred to in the syllabus as well (beginning on pg.31). Wonderful program for my artsy daughter. We have absolutely no complaints. Cons: As grades go up, you need to buy extra materials to use the syllabus. Love using Oak Meadow for my kiddos! It provides good lesson for kids, and easy to use for moms. My main complaint is that for 4th grade, math and Indian Legends is not included in the syllabus. I would also like to see some more exciting projects/lessons for science in 4th. 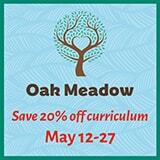 Other than that, I will continue to use Oak meadow for our homeschooling experience! I chose to use the online version as the postage to Australia was expensive and I wanted to try it before buying a whole lot. I found the material easy to add to. My son is really into science and maths and I was able to intergrate this in easily. I also wanted my kids to learn about Australian hero’s, historical fiqures and art as well as the indigenous culture. I have decided not to replace the OM material that deals with many American people from history as the stories are really wonderful and add to the richness of my son’s learning. I really like that Oak Meadow has a variety of activities planned for each week so that I can pick and choose which ones we cover. The lessons are short, but focused and include art in every lesson. In the younger grades, the flow is very easy and very slow, so I would not recommend this for a highly advanced student. I find this is a very well rounded and well balanced curriculum that is easy to add to if needed, but stands on its own very well. We love Oak meadow here, and have been using it since K. We have beautiful main lesson books filled with my daughters work, like keepsakes. I like the creative expression interwoven throughout all subjects, and the attention to nature and art. we have not used them exclusively but use it as a sort of spine, to which we add lots of living books. We use the Charlitte Mason approach and find these two styles blend very well together. I also like that it is project based and gets kids using their hands as much as possible, right now for 4th grade ee are stufying ones own state, and my dd is making a topography project of the area we live in. Shes learne how to knit, crochet, and so much more! We still love and sing the songs several years later from the 1st grade curriculum. We will continue to use OM in the coming years! I love Oak Meadow homeschooling curriculum. I was curious if they were marking up their art supplies (only because I have noticed other companies doing this) but I was pleasantly surprised to find out (via a quick internet search) that they offered the lowest prices on block/stick crayons, watercolor ink, and other tools. In my eyes, it is a good indication that their goal is to provide an excellent service to homeschooling families rather than making a quick buck. I purchased 4th & 6th grade curriculums for my 2 eldest children. The 6th grade material was well below that child’s actual level. The 4th grade was good for that child but that was because he had been really struggling with reading. The history materials that came with this for the 4th grader caught his full attention and in the course of about 7 weeks, he read the entire year’s material, and had not stopped reading since! As younger children have hit between 2nd and 3rd grade, they too have started to devour the Oak Meadows 4th grade materials. Very good program. It provides me with the structure I need but is loose and goes with the flow a little for my kids. Very arts based so can at times require a bit of prep from the parent but I take that as learning tools for myself as well so i can better help my children. Can be difficult to transition too if your child has spent a few years in a traditional school or using a academic based homeschool program. Possible but difficult as it is waldorf inspired (although not strictly waldorf) so the focus is different and that can be hard for some children. If you are in search of a well rounded education surrounded with art and beauty this is the curriculum for you!